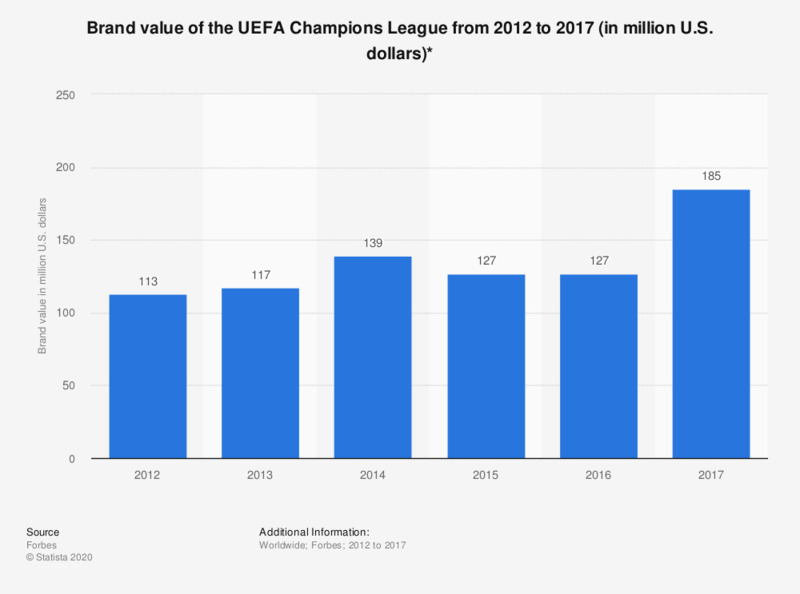 The statistic shows the brand value of the UEFA Champions League from 2012 to 2017. The UEFA Champions League had a brand value of 185 million U.S. dollars in 2017. * Event brand value are the sum of revenue from media, sponsorships, tickets and licensed merchandise, per event day of competition. How often do you play sports/exercise?